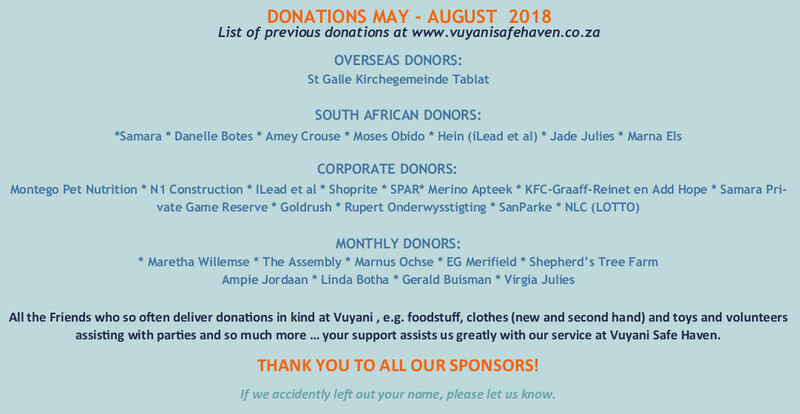 Vuyani Safe Haven is a registered Child and Youth Care Centre in Graaff-Reinet (NPO#:091-122) which provides safety and care for children whose families cannot or do not care adequately for them. 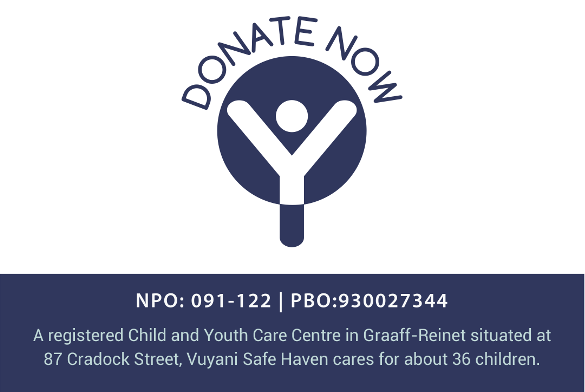 Situated at 87 Cradock Street, Vuyani Safe Haven cares for about 36 children. 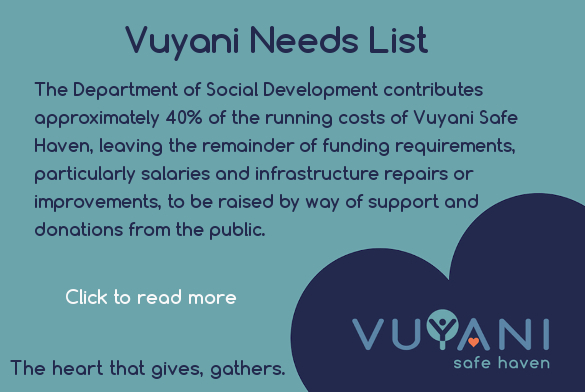 The Department of Social Development contributes approximately 40% of the running costs of Vuyani Safe Haven and it is only with the generous support of businesses and individuals, local and foreign, that we are able to make up the shortfall. These vulnerable children need all the help they can get. We are grateful to each individual, business, corporation and foundation who has promoted our work through financial contributions, donations in kind and support in various ways. Your support assists us to meet the needs of the children in our care.